Hollywood. Where do I begin? Should I start with the fact that I didn’t see anyone famous that I would have liked to? Or something a bit less unfortunate like the fact that we got a tour of the Paramount Pictures and Warner Brothers studios? 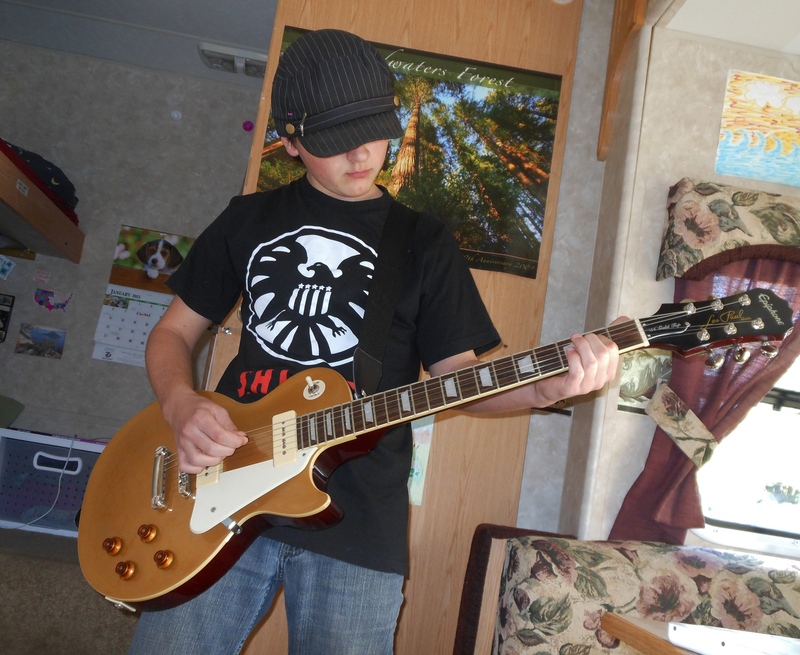 Or that I got a gold top Epiphone Les Paul at a store on Sunset Boulevard? Or, maybe I should just start at the beginning. I don’t think many people expect to see a truck with a Maine license plate pulling a thirty foot fifth wheel through the middle of Hollywood. 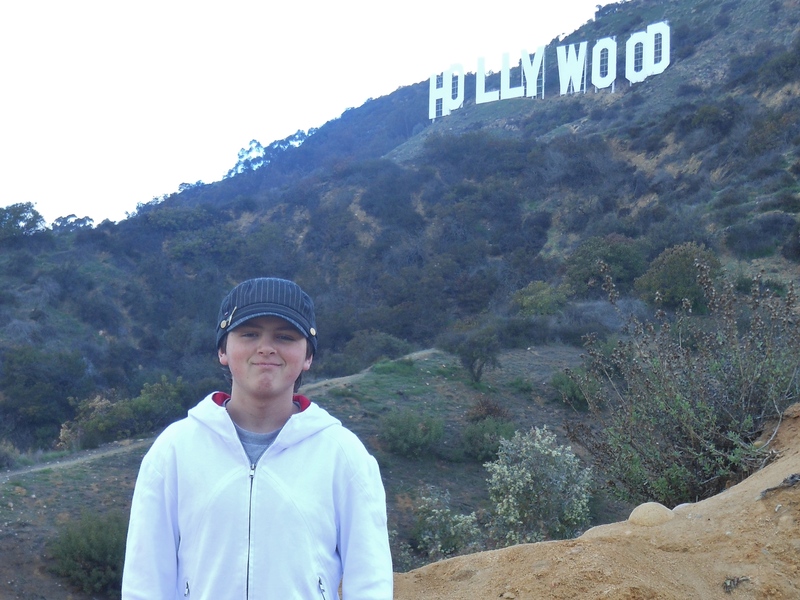 We were going to stay with some friends who manage an apartment building in the Hollywood Hills. 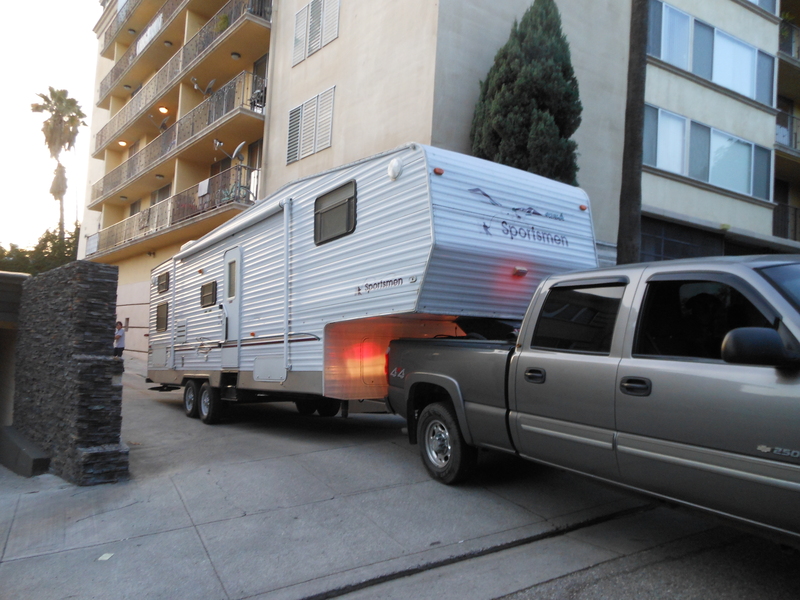 They said that they had a space next to the building where we could park the R.V. It took a little while but we eventually managed to get it backed into the said space. 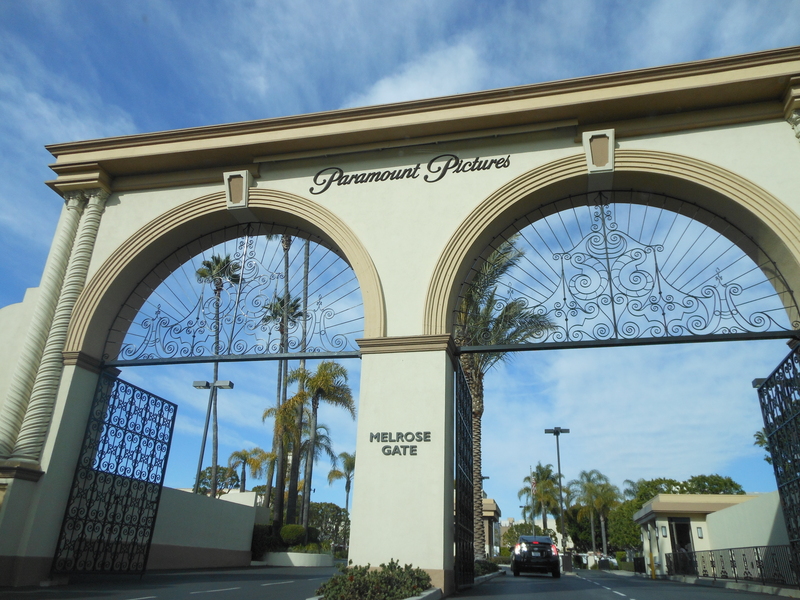 One of the first things we did when we stayed there was get a tour of the Paramount Pictures studios. Now our friend knew someone who worked there and we were able to get a free, private tour. 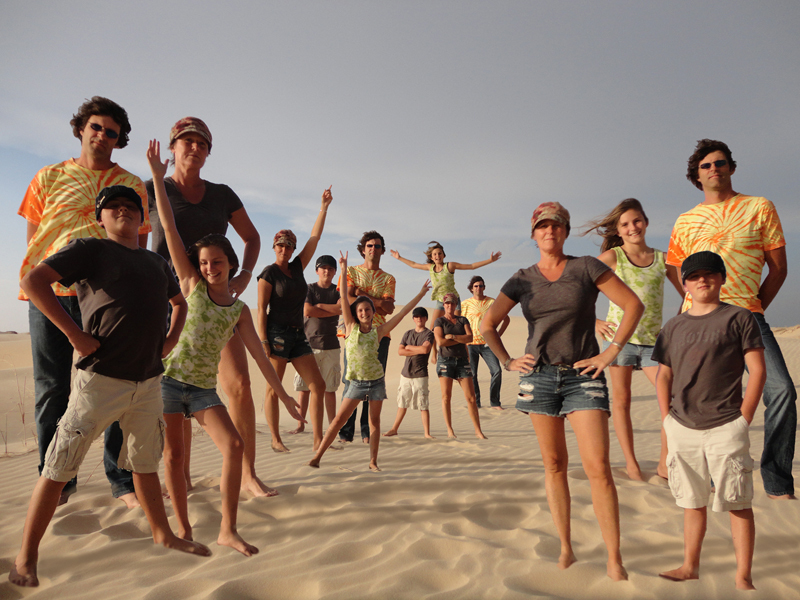 I don’t know about you, but in my book that fits under the “awesome” column. Now we don’t watch that much television, so I didn’t recognize many of the sets we got to go on. I did recognize the set for the Dr. Phil show. I have never seen the show but I have heard of it before. 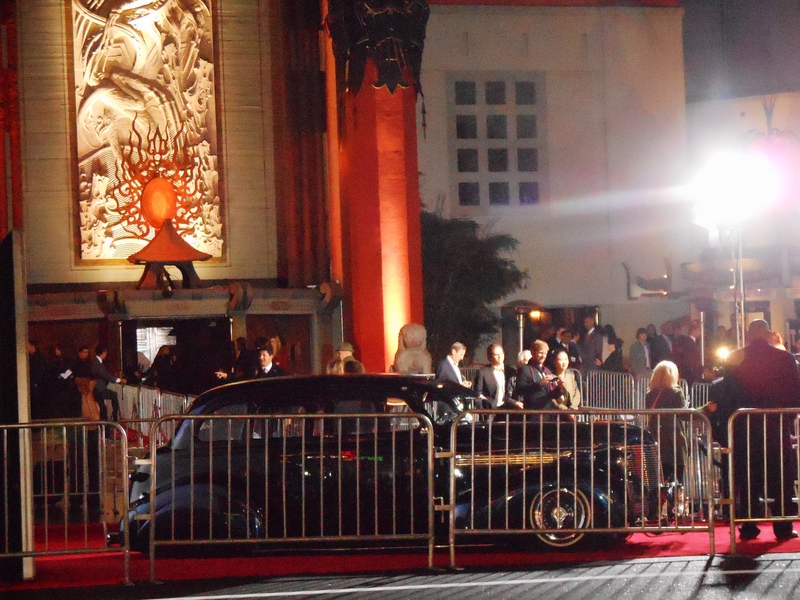 We saw Jane Lynch, but I don’t really know who she is because I don’t watch Glee. Mercy recognized her from a movie she likes. 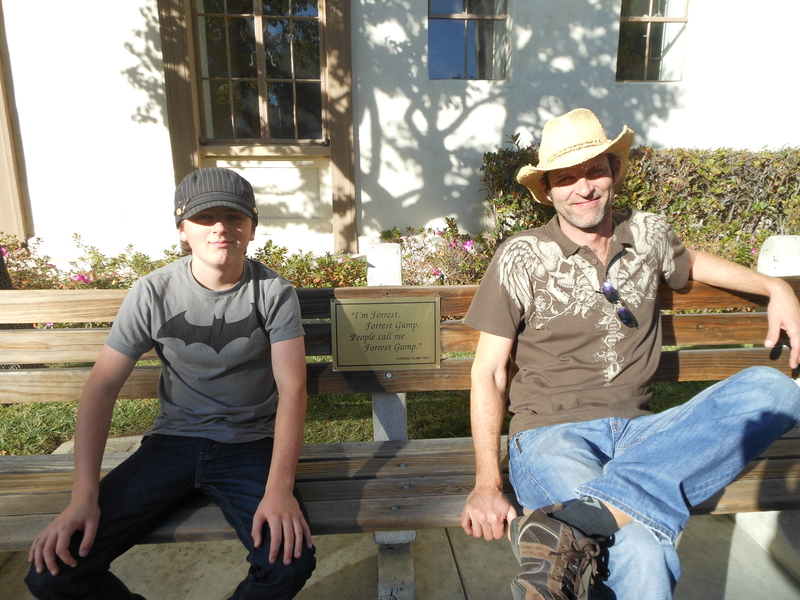 At the end we saw the bench where some of Forrest Gump was filmed. 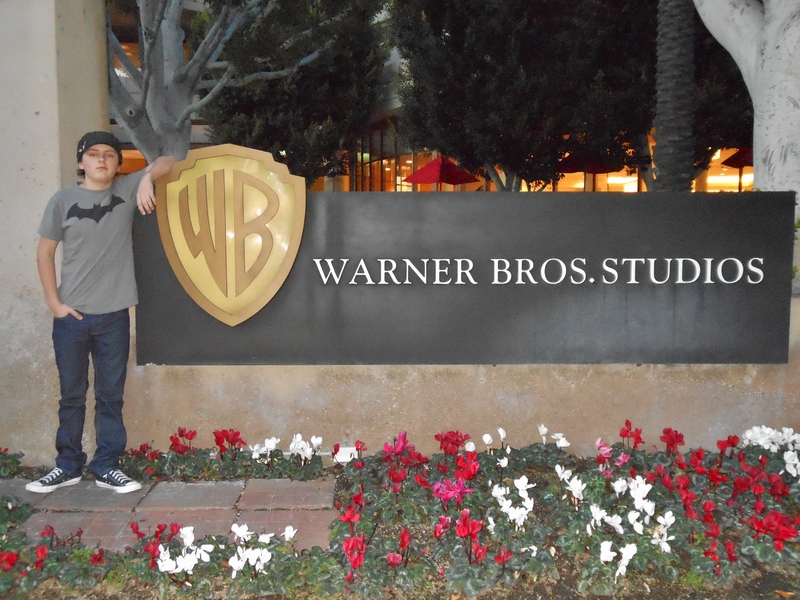 A few days later we got a tour of Warner Brothers Studios. It wasn’t a private tour like the one at Paramount but was great nonetheless. We saw the set of Two and a Half Men. I’ve only seen the show once but I recognized it immediately. During another part of the tour there was a room with vehicles from a bunch of movies. 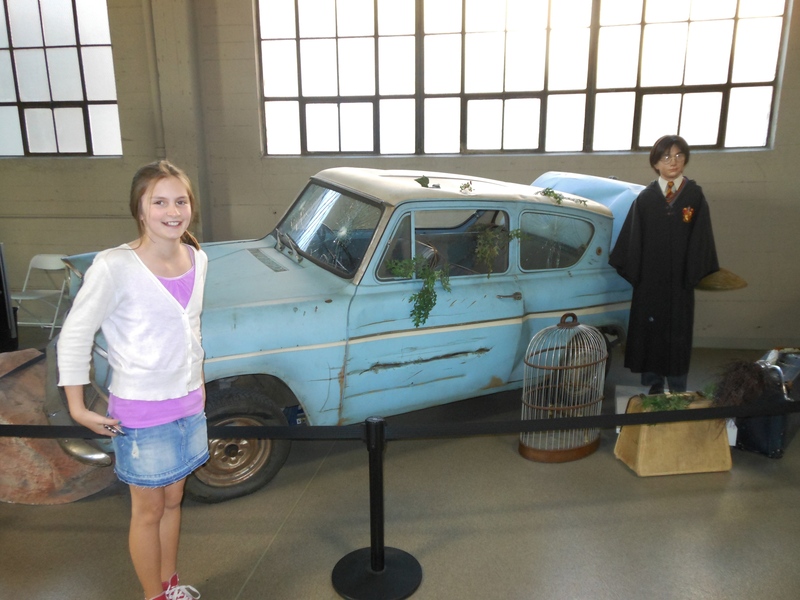 Every Batmobile, the flying car from Harry Potter, and some others that I didn’t recognize. There was also a whole warehouse full of props that are still used. One that I recognized was One-Eyed Willie’s skeleton from The Goonies. We saw a prop that was used on the set of Pirates of the Caribbean. It was a lamp that was on the Black Pearl. We actually found out that our tour guide was an extra in the movie. Towards the end of the tour we stopped at a museum with the original costumes from countless movies and television shows. 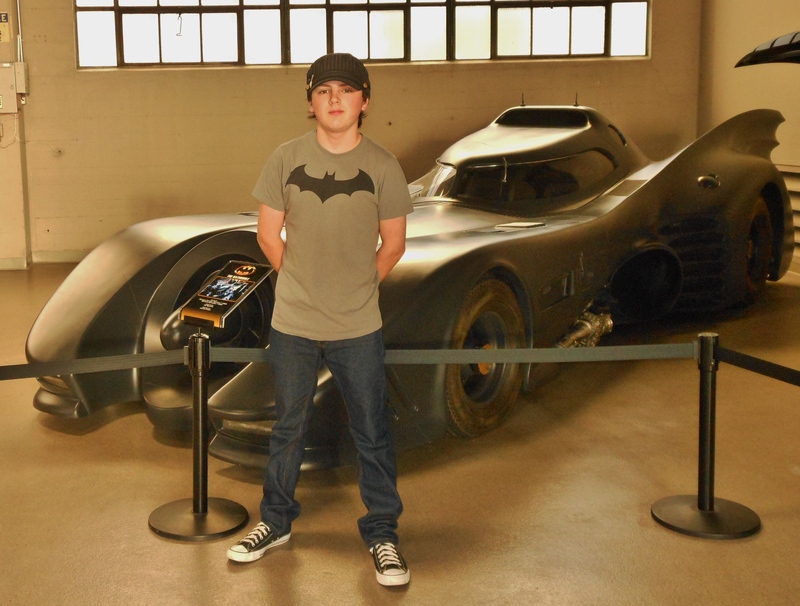 There were the costumes worn by actors from the Batman movies, the Harry Potter movies and many others. We also saw two of the cast members from The Big Bang Theory. But again, I don’t watch the show so I didn’t recognize them at all. My parents were excited to be on the set of Friends, another show that I have never seen. 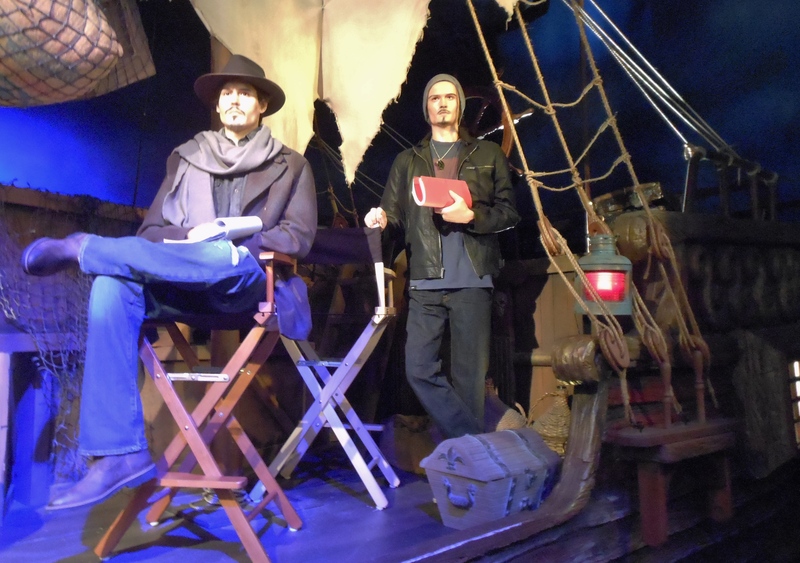 One of the last things we did while we were there was go to the Hollywood Wax Museum. 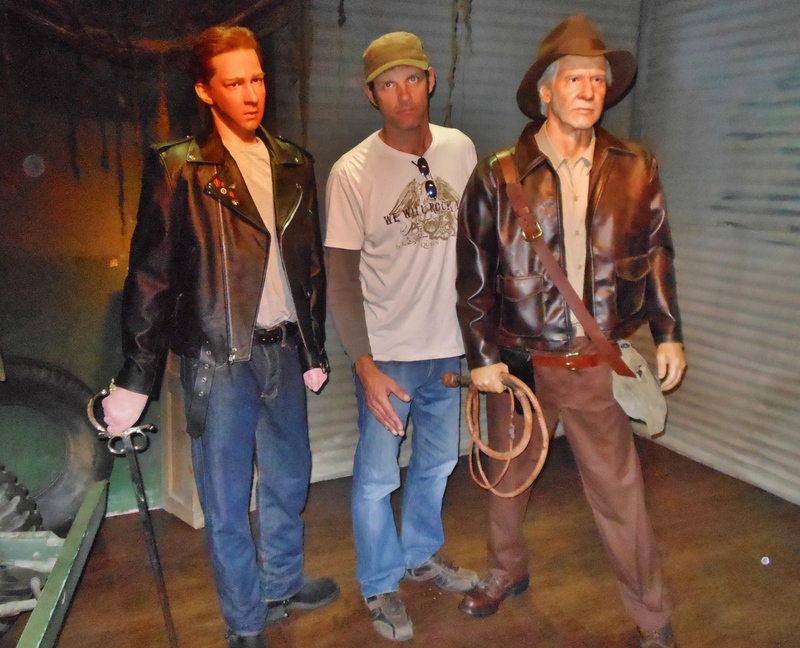 They had wax figures of so many movie characters and celebrities. There was one of Johnny Depp, Orlando Bloom, Michael Jackson, Will Smith and Tommy Lee Jones from Men in Black, Davy Jones, Darth Vader, Yoda, even the aliens from Aliens Versus Predator. That’s just to name a few. Later that night, we went to a music store and I bought a gold top Epiphone Les Paul. It was in great condition for a used guitar, and the price was $399. I was told that if it was brand new it would be have been $699. Apparently the store wanted to get rid of it so they lowered the price to $340 and offered a free case! Sold! I can even brag that I bought it on the Sunset Strip in Hollywood. Well I can definitely say that it was one of my favorite places to stay. I would also like to thank our friends for letting us stay next to their apartment building and driving us around. I don’t say names in any of my blog posts but you guys know who you are. Don’t tell my parents, but I’m giving you bragging rights.